A Soul is a rock with three faces on it. And if you plow your head into it long enough a [Crown of Empowered Fate] and a [Torch of the Damned] fall out of it. Congratulations to Gabranth and Fattestchop respectively. 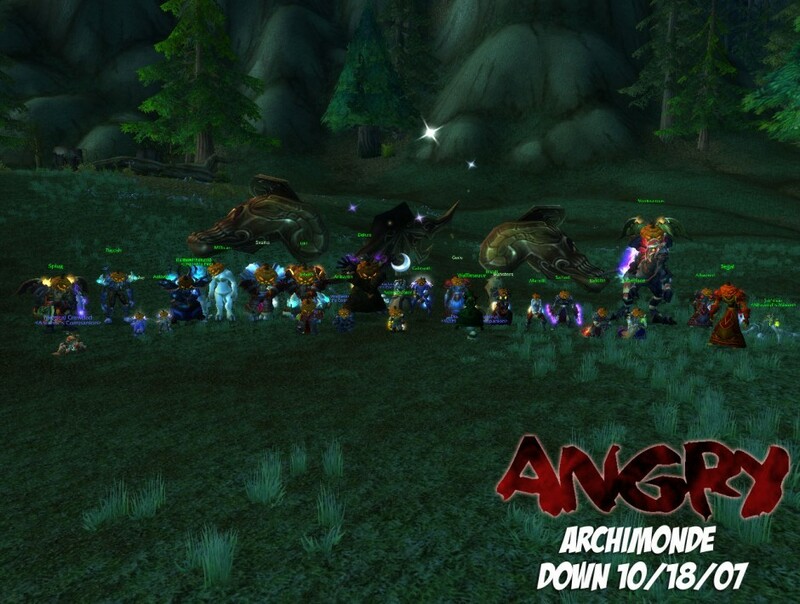 Archimonde, Lord of the Legion! 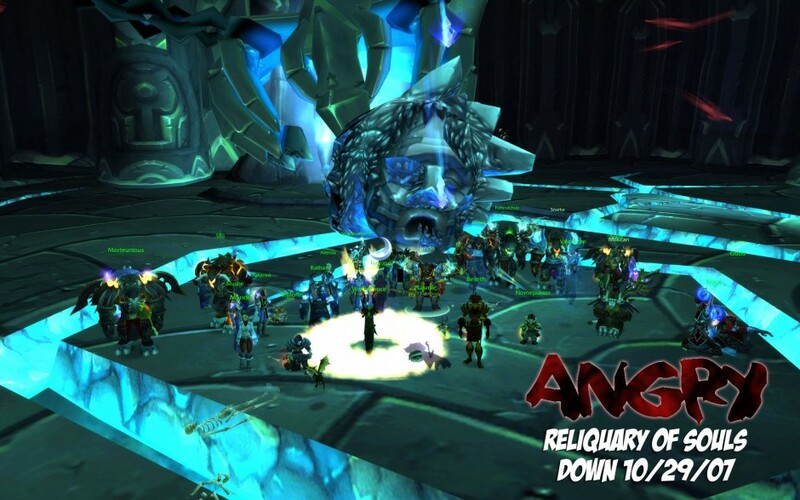 And so the death of Archimonde, Lord of the Burning Legion was written once more into the history of Azeroth. And in this timelost world we found a [Cowl of the Tempest], an [Onslaught Greathelm], [Antonidas's Aegis of Rapt Concentration (not found on Wowhead)], and a [Mail of Fevered Pursuit]. Congratulations to Tegal, Morteunious, Uki, and Dajosh respectively. 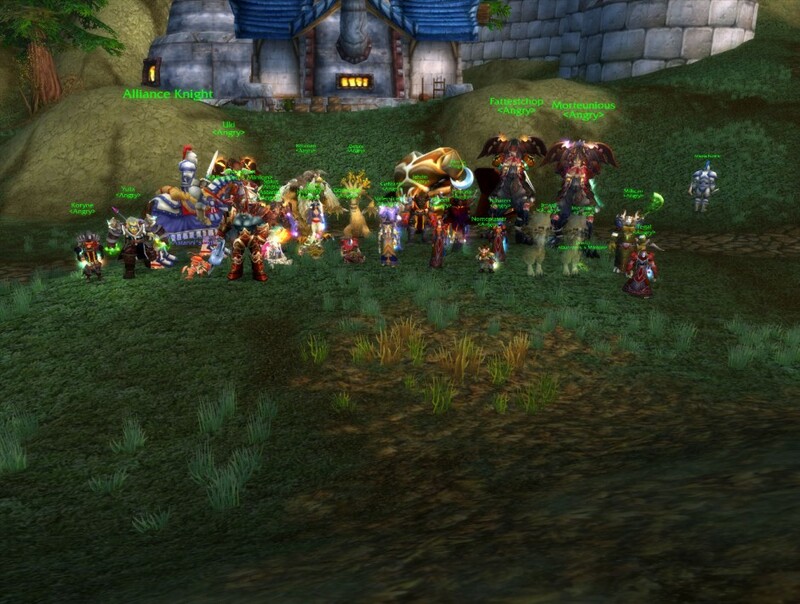 Congratulations to everyone in the guild. 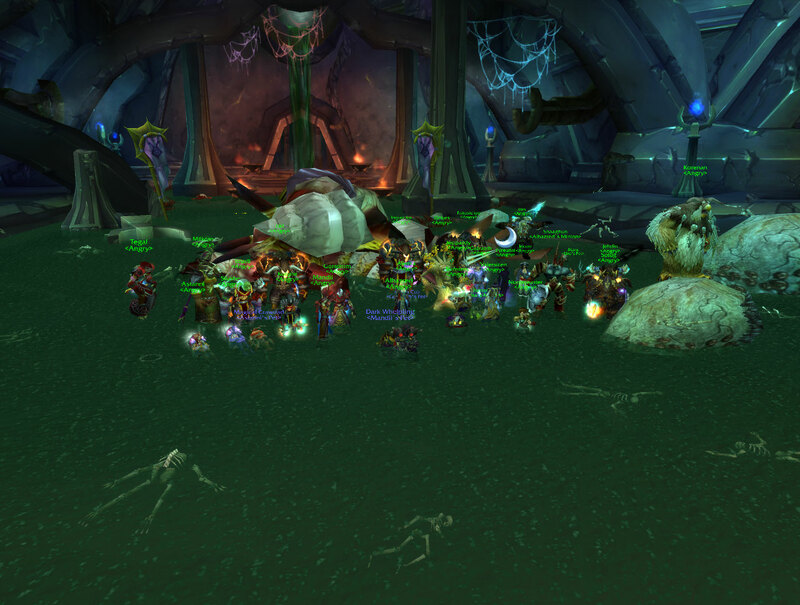 And a special thank you to Jeopardy, Gorsomm, Thrush, Beleth, Alernia, Yuta, and Fattestchop for all the work they put in on Archimonde even though they couldn't be there for the kill. The interim commander of the Legion's forces in Azeroth fell in Thrall's camp in a swarm of Doomguards and massive Infernals. Congratulations to Morteunious on [Glory of the Defender] and [Onslaught Handguards] and Gudu on [Gloves of the Tempest]. One more notch on the belt. [Shadowmoon Insignia] to Morteunious, and [Leggings of Divine Retribution] to Fattestchop. 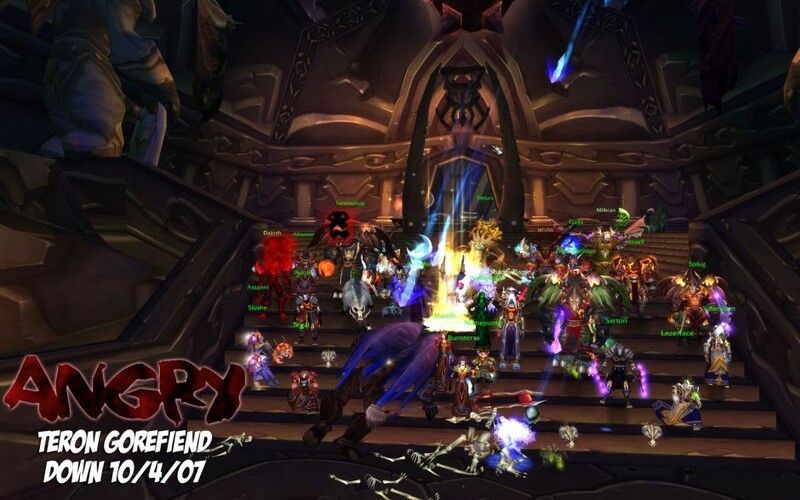 The Death Knight legacy saw its end as Doomhammer's first, Teron Gorefiend, was felled by Angry's finest. [Gauntlets of Enforcement] went to Nomepunter and a [Totem of Ancestral Guidance] would have gone to Ukibaren, except they weren't there, so it didn't. Instead Imaril got it. Imaril. Come on . . .
Not long after Supremus did the Angry superheroes wrest control of Akama's immortal soul from the Betrayer's unholy grasp. 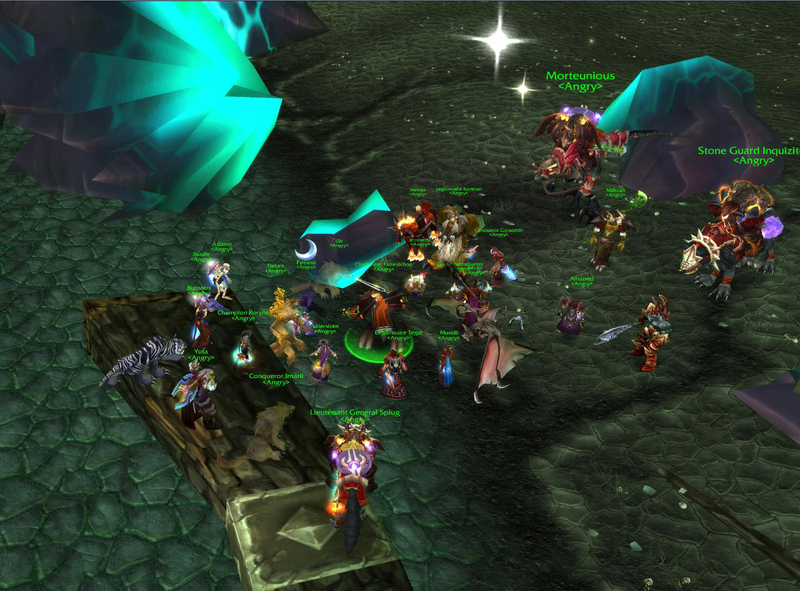 And after we finished role playing, we pressed onward to Gorefiend's Vigil. [Praetorian's Legguards] went to Splug and [Grips of Silent Justice] went to Nomepunter. Supremus didn't like our decorative Fatchop, but we didn't like him either. 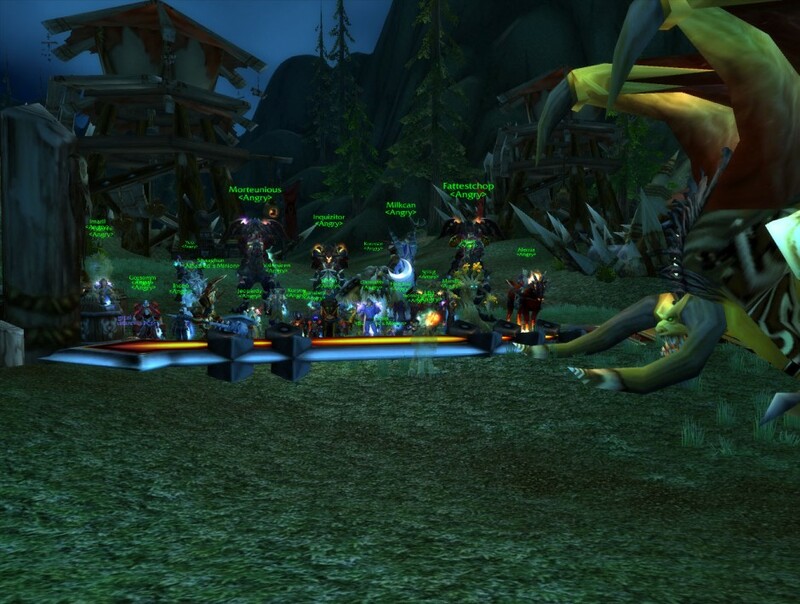 Congratulations to Uki on [Bands of the Coming Storm] and Jehdin on a [Legionkiller]. They don't make bosses like they used to. 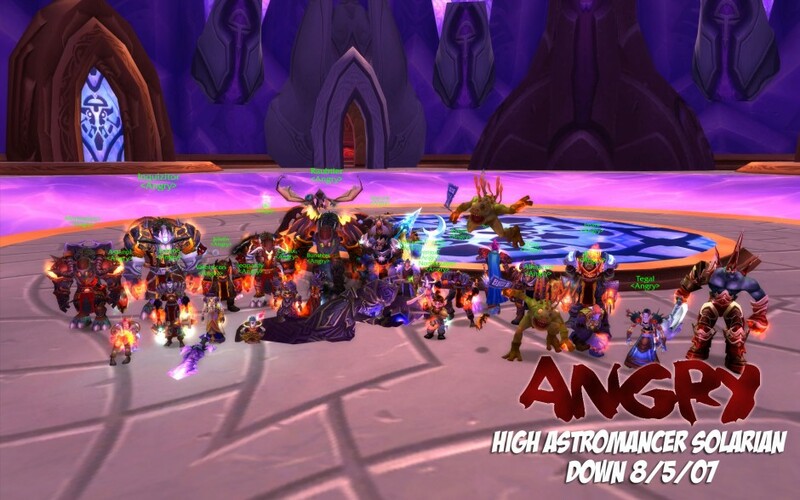 Congratulations to all of the following: Inquizitor on his [Hammer of Atonement], Valersicen on [Angelista's Sash], Fyreunai for the [Design: Great Lionseye (not found on Wowhead)], Koryn on a [Blade of Infamy], Bunsters on the [Hatefury Mantle], Astanni on a pair of [Pearl Inlaid Boots], and last, but not least, Fyreunai again on [The Maelstrom's Fury]. 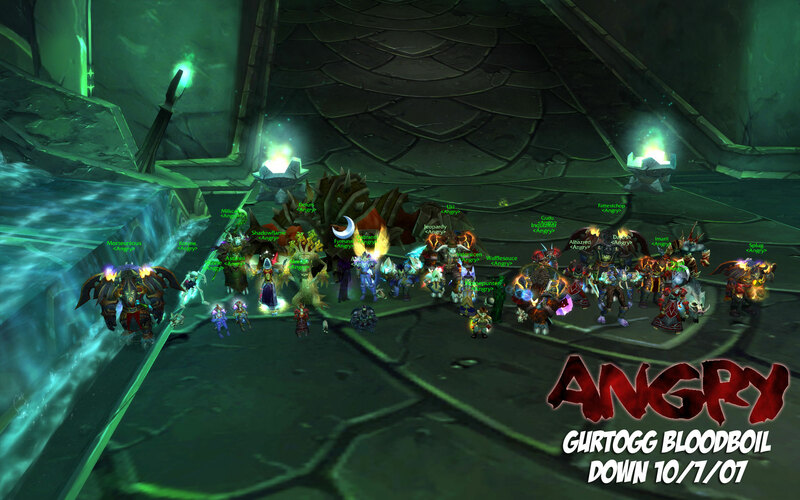 Onward to Archimonde and the horrors that lay in waiting in the depths of the Black Temple! So . . . that wasn't so bad. Rage Winterchill was bested by twenty-two of your resident superheroes. [Deadly Cuffs] to Koryne and [Rejuvenating Bracers] to Delurs. Now for a real boss? 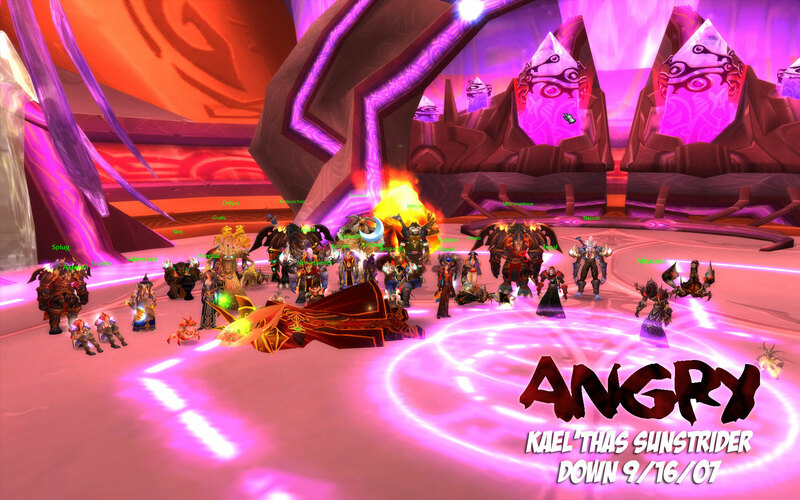 It was a long time in the making, but Kael'thas fell before Angry shortly after 10:00 tonight. Easily one of the most intense and fun fights in the game to date, and the only one so far that has a truly epic feel. Congratulations to Gabranth for a [Crystalforge Chestpiece], Nomepunter on a [Destroyer Breastplate], Thrush on a [Band of the Ranger-General], Korenan on a [Royal Cloak of the Sunstriders], and Splug on a [Verdant Sphere]. 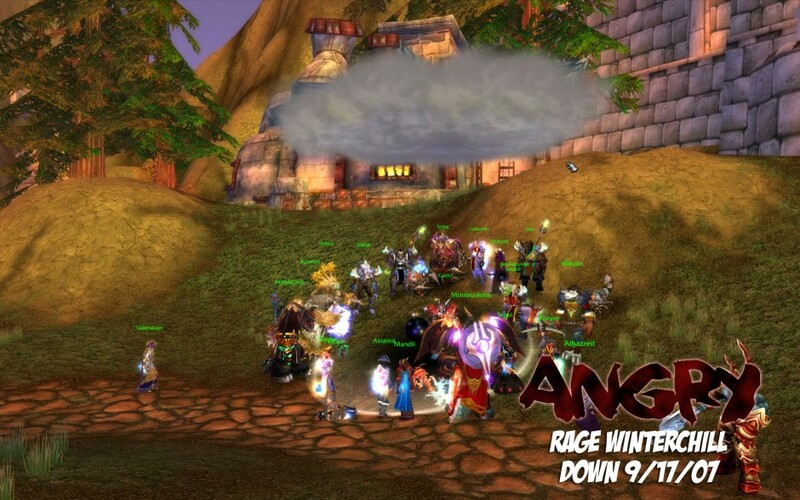 And back to the Battle of Mount Hyjal and the march to Archimonde! 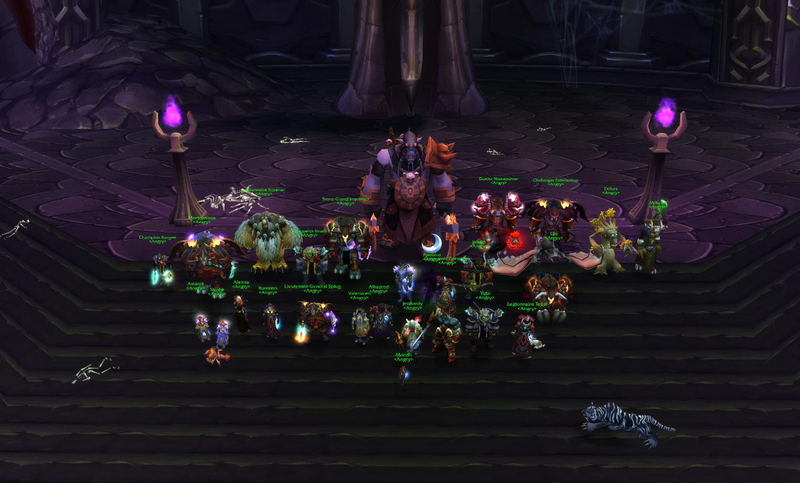 This evening we cast Solarian into the abyss and opened the way to Prince Kael'thas Sunstrider, Lord of the Blood Elves and his council of advisers. On her corpse was a pair of [Star-Strider Boots] for Thrush and [Trousers of the Astromancer] for Fyreunai, congratulations to them both! And all it took was a pair of Murlocs.